With great sadness, the family of Betty Roth Torres share that she went to be with the Lord on September 15, 2018 at the age of 99 ½. She died peacefully with members of her loving family at her side. 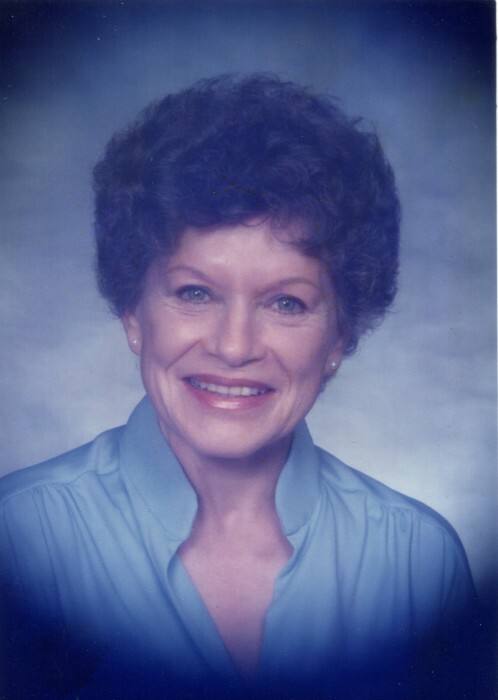 Betty was born on April 20th, 1919 in Belleville, Illinois and the daughter of Anthony and Emily Kovar. At the age of 12, she met her future husband William Roth and were married 9 years later on October 5 1940. They raised four children: June (Paul) Trammell, Donna (Steve) Bias, William (Christine) Roth and Nancy (Tully) Lale. Her siblings who preceded her in death are: Rudy (Katherine) Kovar, Fred Kovar, Helen (Ervine) McCoy and Amelia Kilzner. William passed away in 1984 and Betty married George Torres in 1997. Betty is survived by her husband, George; her children and her grandchildren; Gina Clark, Paul Trammell, Jr., Deanna Chafe, Angela Bates, Brian Trammell, David Trammell, Christine Monnet, Tracy Richards, Jennifer Eubanks, Natalie Haskell and Kimberly Hobbs. Her great grandchildren are Travis, Katrina, Jessica, Tyler, Jeremy, Jamie, Sydney, Sarah, Jacob, Joseph, Bethany, Emily, Nicholas, Brenden, Jacob, Kyle, Madison, Erin, Arlo, Ethan, Hank and Kimber. Betty touched so many lives and we will always have her close to our hearts. Betty made friends easily and her legacy will live on in our hearts and minds of everyone she interacted with.